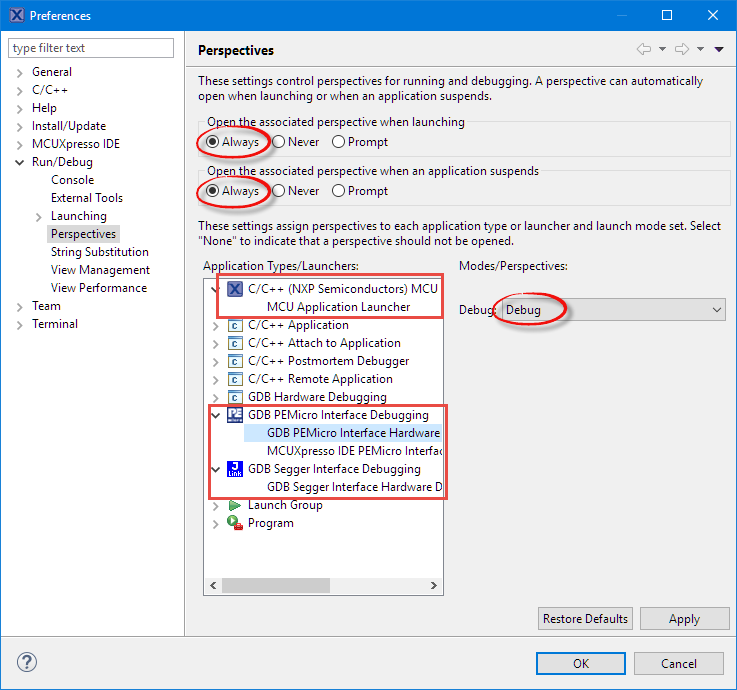 That ‘Develop’ perspective is great especially for new users of Eclipse, as it does not change windows and views between for the Debugging phase in the development process. But for advanced users the ‘Develop’ perspective might not be what they are used to, or if I want to have a special arrangements of views during debugging. As always, Eclipse is very flexible and allows pretty much everything. I can specify for each connection which perspective I want to use. So I have specified for all connections that I want to use the ‘Debug’ perspective, and that it shall switch to it without prompting. It is possible to select any perspective or a custom one using that drop box on the right side of that dialog. 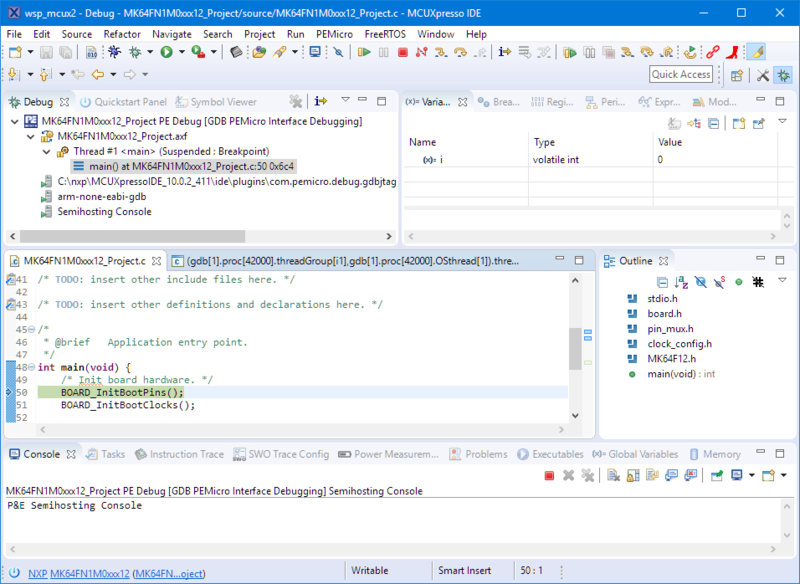 This entry was posted in Displays, Eclipse, Embedded, MCUXpresso, MCUXpresso IDE, NXP, Tips & Tricks and tagged Debug, Debugging, Develop Perspective, Eclipse, MCUXpresso, NXP, OpenSDA, P&E, perspective, Preferences, Segger, technology, Tips&Tricks, View by Erich Styger. Bookmark the permalink. This flexibility can be confusing for the beginner, but once you get accustomed to the functions of the various perspectives/windows it’s handy to have only what you need only when you need it! Nice write-up, Erich! Thanks for the write-up. 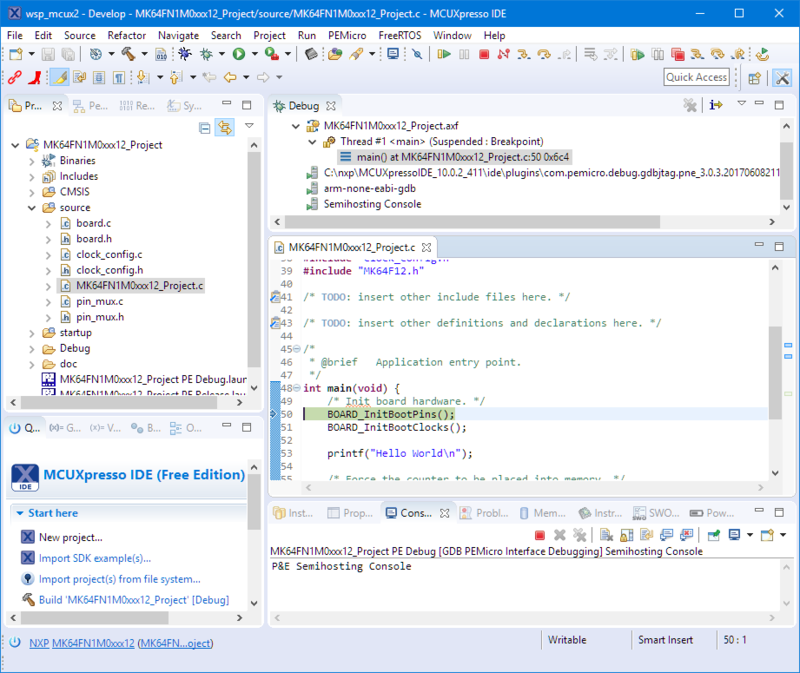 I have created a custom debug perspective in MCUXpresso v10.1.0. I assigned it to be the perspective that opens when I launch a debugging session, thanks to this post. I would like for this perspective to show the “MQX” menu to be able to access the MQX TAD screens easily. I go to Window > Perspective > Customize Perspective. I then click on the “Menu Visibility” tab and make sure the “MQX” menu structure is checked. (I also enabled the “FreeRTOS” to see if that will work). Unfortunately neither of those options are visible in the menu bar after I click OK. When I switch back to the default “Debug” perspective, I see that both of those menu options appear and both of the options are checked in the “Customize Perspective.” I am not sure how to proceed from here. Have you tried to add menu items in custom perspectives before? I don’t have (and use) MQX, but the approach you describe works for me for other perspectives, so I guess it must be a bug in the MQX plugin? To my knowlege Embedded Access (http://embedded-access.com/) maintains that plugin, so best if you direct that to Embedded Access?